This is my very first major furniture transformation project! I snagged this charming mini dresser off Craigslist for $20. (Or was it $10?) The dresser looks handmade and old, dovetail joints and all. It had really cute knobs that look original. I saved those for another desk that I am working on. Here is the before. I desperately needed this dresser for my studio. I had a console/sofa table but there was no storage! I was just piling stuff up on top of the table. This dresser will enable me to store stuff out of sight. I used Zinsser oil based stain blocking primer, which other bloggers have highly recommended. I have not been happy with Valspar primer in the past. This stuff is awesome! It covered the dresser well; I used two coats just to be sure. I used a cheap brush and just tossed it after painting because I didn't want to deal with mineral spirits. Did I mention that sanding is unnecessary with this amazing primer? I covered it with Olympic white in a semi-gloss, which I had left over from previous projects. I left the top of the dresser and drawer fronts unprimed and unpainted because I wanted to combine the look of the dark wood with the crisp white. For the drawer fronts I used a stencil I found at Michaels for about $4. I tested the stencil technique on the inside of the drawers (which were going to be white anyways). I was NOT happy with the results. There were too many cuts in the stencil and therefore it moved around too much and I wasn't getting a clean paint line. I took the time and traced the design onto the drawers with a pencil and then hand painted each flower with a small brush. I did this twice; one coat of primer and one coat of paint. It took about one hour per drawer per coat! Well worth it, in my opinion... but what do you think? I picked up these sweet knobs at Hobby Lobby during their 50% off sale this week. I like combining knobs but I like how the blue ones pop more than the beige ones. On a side note, do you know how other blogger's houses just look so pristine and perfect? Well mine doesn't. I am kind of embarrassed but kind of proud... I feel like a "real" and "normal" person. What "real" person's house looks like a showroom 24/7? This is what my dining room looked like all weekend... when the in-laws were visiting. The dresser is beautiful! I can't believe you hand painted those flowers, Lindsey. They are amazing. You have such awesome talent. Thank you! I will check out your linky party later! It turned out beautiful! You did an awesome job at hand painting the flowers! This looks great! I wouldn't have been able to hand paint all of those followers.. good job! Thanks! I got a lot of TV watching in while I was doing this! This looks great! You did amazing work on the flowers!! I found you through a blog hop and I am a new follower! This dresser is super cute!! Would love if you shared it at Furniture Friday going on now. Thank you! I will be sure to stop by later and link up! No WAY, you hand painted all those?! Wowzers, I think I would have given up, way to persevere. If I can't use the stencil, I probably won't do it! haha. Would LOVE for you to share this over on Kammy's Korner For Trash 2 Treasure Tuesday! Taking the time to hand paint them was a good excuse to watch TV all day. :) Thanks for the invite! Haha... It still doesn't make me wish my home looked like a model home any less though! I am a bit swamped right now with school work but I will try to check it out soon! Woohoo! Great job on the dresser. I have one similar but my drawers aren't nearly that deep. I love the color combo and the stencils are awesome. I'm a new follower on both GFC and Linky Follower, hope you'll return the favor. Also, would love it if you would share this post at my party: Frugal Treasures Tuesday and join in on the fun. Thanks so much for sharing. Thanks for the follow! I will certainly check your blog out later! I am Penni from afewofmyfavoritethings-penni.blogspot.com and I love your dresser redo it is beautiful. I was awarded the Leibster Blog Award and I am passing it on to you. 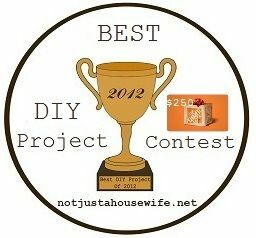 Come over to my blog and grab the award with the instructions on what you need to do. Can't wait to see what else you come up with!! Your dresser is gorgeous! Great job. Thank you! Hope you stop by again soon! Wow!! Really great! 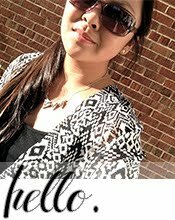 I found your blog on "Created by Cori" - blog link! I added you to my reading list! Thanks! I hope you stop by again soon! Adorable! Love that piece! Would love for you to come by and link it up at our party starting tomorrow! I would love to link up later! Hopefully I will have the time after my school work! PS:I am also your newest follower via linky tools.. Would love if you could follow me back pweeease.. TY.. Wishing you a lovely day..~Marilyn via http://www.theartsygirlconnection.com/ .. Thank you! I would love to check out your blog and will do so later on! Thanks Alison! I love your blog so that means so much to me! Thank you for always hosting the linky party! oh my goodness...you must love everything about this.....and $20....good for you! This is a fabulous transformation! Thank you for sharing at Potpourri Friday! I appreciate your participation!